UNIS Hanoi student Linnea Niklasson underwent major heart surgery as a young child in Sweden to correct a life threatening condition. During her fourth grade Unit of Inquiry about Healthy Bodies, and her Grade 5 PYP Exhibition she became fascinated by the heart, her surgery and to understand what would happen to children in Vietnam who are born with the same condition. She was shocked to discover that something that was almost routine in her home country was unaffordable for most families in Vietnam and that many of the children die in early childhood. She committed to fundraising and with the support of her family partnered with East Meets West to support children in Vietnam through the same correctional heart surgery. 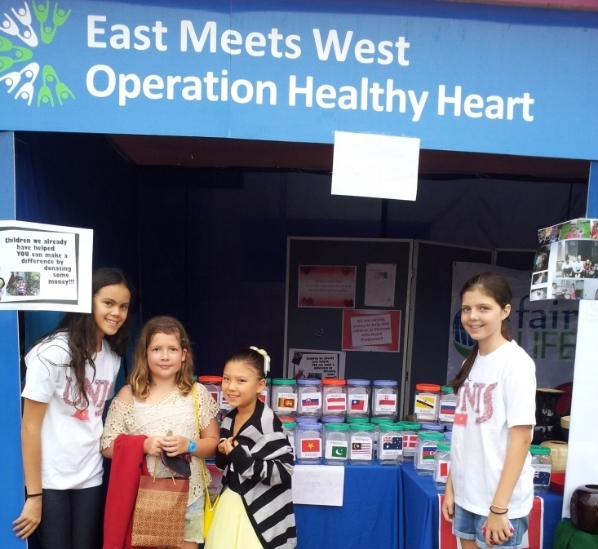 When she moved to Middle School, Linnea with other students created a new Service Learning group - Healthy Hearts. Their goals are for fundraising, to raise awareness and to visit the children in hospital regularly to run activities. The students together have raised the funds which have paid for six life-saving operations to date. The Birthday Gift Fund will match-fund the student fundraising (to a maximum of 1,500 USD each year and to a total of 4,500 USD) to provide more operations, initially through a partnership with East Meets West and currently with Heartbeat Vietnam.